Experience your special day with elegance and class with us. 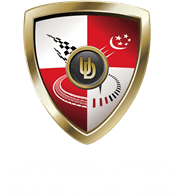 Ultimate Drive's wedding cars are provided with fully trained friendly professional chauffeurs. Thanks Budd. Wonderful experience! Great Instructor you've assigned. George was helping us quite a bit. From the friendly, detailed explanation to the follow-up in the days coming to my big day, all was done professionally. A big thumbs up to the awesome service and professionalism shown. Thank you for you awesome service rendered from Budd and the Instructor. The car is beautiful! Get a perfect car for your special one! Alternatively, you may contact +65 8838 7997 (Budd) or fill in the form below for more information.